The Living Things series, published by Marshall Cavendish Benchmark from 1995to 1997, was written for my youngest readers. Parents can read these books aloud to very young children. Kids who are learning to read can read the books for themselves. 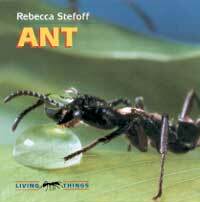 Some of the Living Things books, especially ANT and OWL, have been used in readers for the second grade. 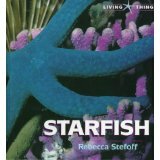 The 18 books in the series are STARFISH, SEAHORSE, BEETLE, ANT, GIANT TURTLE, CRAB, OCTOPUS, BUTTERFLY, CHAMELEON, SNAKE, FLYTRAP, JELLYFISH, PENGUIN, SPIDER, FROG, PRAYING MANTIS, OWL, and HUMMINGBIRD.